All allocated mutexes are put into a list. Pointers to the next and prev. lock_word is the target of the atomic test-and-set instruction when atomic operations are enabled. 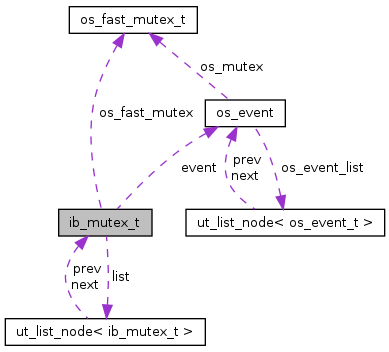 The thread id of the thread which locked the mutex. This ulint is set to 1 if there are (or may be) threads waiting in the global wait array for this mutex to be released. Otherwise, this is 0.